Problem Operation prohibited error: When I archive SharePoint list items SP Archive fails to archive, and I get an error message that says the attempted operation is prohibited because it exceeds the list view threshold enforced by the administrator. This type of error generally comes when the SharePoint list has a large number of items and if you apply a filter with any of the non–indexed SharePoint fields. If you are using a local SharePoint, the solution is to increase the List View Threshold value (LVT) from the default 5000 to a higher value. 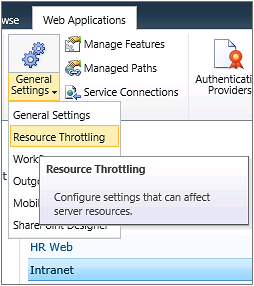 Log in to the SharePoint server using the central administration. Under Application Management, click on Manage Web Applications. Select the site for which you want to increase the List View Threshold. Under the Web Applications tab, click on the General Settings dropdown. Change the LVT from the default 5000 to a higher value. If you are using Office365 SharePoint Online, there is no option to increase the List View Threshold. In that case I suggest you to archive without any filter. If you want to use filters, then simply make the filter with the ID column that is indexed by default. It is also possible to make any other SharePoint list field an indexed field. Please follow these steps to make fields indexed. 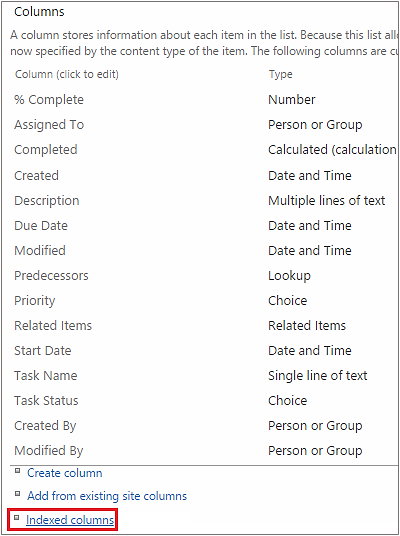 In your SharePoint site, select the list for which you want to create the indexed column. Select the List Tab and click on List Settings. A List settings window will open. Under the Columns section, click on Indexed columns. An Indexed Columns window will display. Click on Create a new index. An edit Index window will display. Select the field that you want to make as index field.